Skills School has always been a popular LNT program. Tonight’s list of skills included: choosing colors and shades, joining pre-quilted blocks, basting a quilt without crawling on the floor, and using the Nimble Thimbles Website. Sometimes the difference between a nice safe quilt design and a unique, exciting one is a simple change in the placement of the light, medium, and dark fabrics. Marilou explained how we increase our quilts’ appeal by varying our shades of light, medium, and dark. Although many members knew LNT had a website, many had never really explored the abundance of information it shares. In addition to showing us around the website, Susan demonstrated how members can post documents, change their photo, and contribute to forum discussions. Do you avoid making large quilts because it’s too difficult to crawl around on the floor to bast them? Terrie showed us a clever work-around. Separately wrap the backing, batting, and quilt top around a board (or one of those long flexible pool toys). Roll out a foot or so of the backing (face down, of course); on top of that roll out some of the batting, and lastly, roll out some of the quilt top. Then start pinning. Repeat the process until it’s all done! If you use spray basting, just spray the layers as you roll them out. 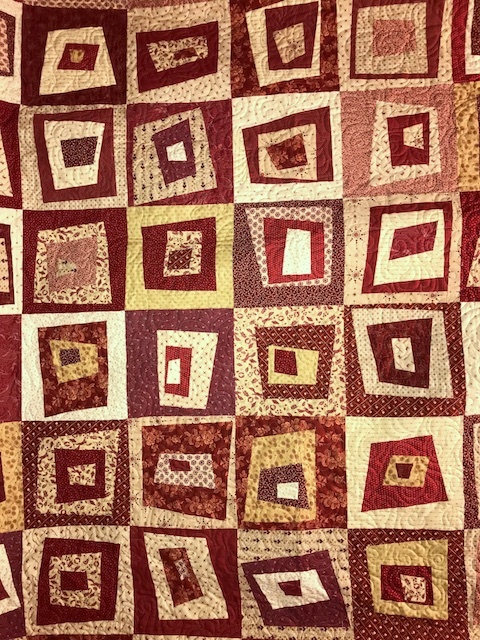 Have you steered away from quilting blocks separately because joining the blocks together was too intimidating? Worry no more. Barbara demonstrated two ways to do this: one was with sashing and the other was without sashing. She made it look so simple! Later in the year members will have an opportunity to practice this technique with our Cuddle Care quilts! It is always good to have experienced folks around when one is learning something new. Thanks to Marilou, Susan, Terrie, and Barbara for teaching in our first 2019 School Skills! 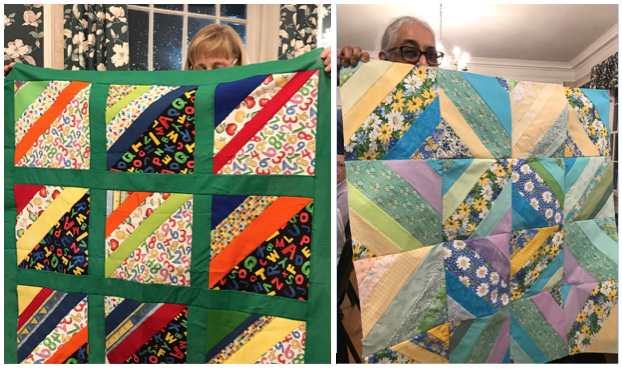 Susan and Sanghetta finished Cuddle Care quilt tops that were begun at our last meeting. They are ready to be quilted at our quilting day at Quilted Joy this summer. 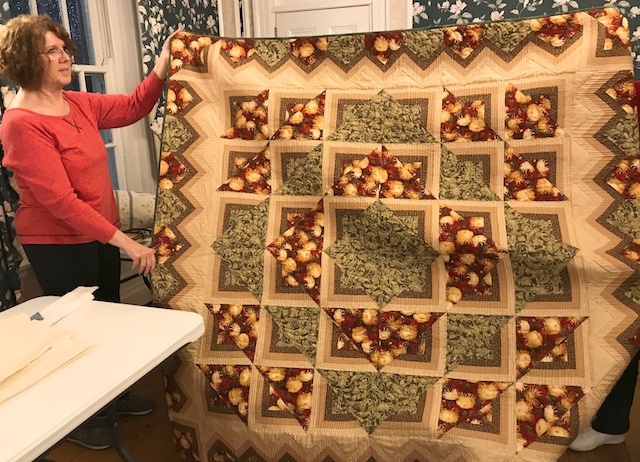 Terrie shared two quilts she recently completed. 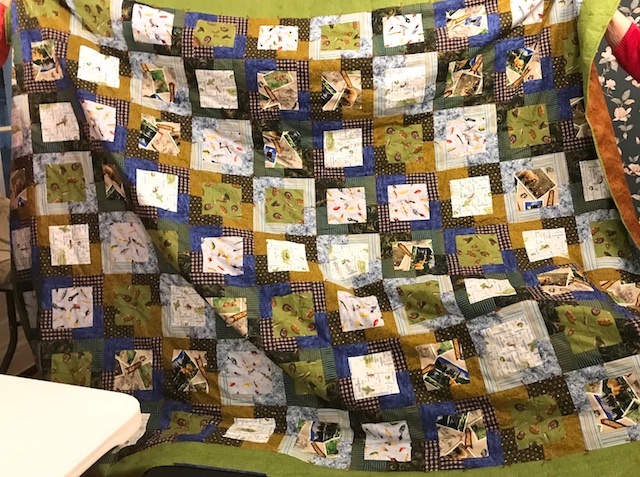 For someone who is rather new to quilting, she has done some amazing quilts! 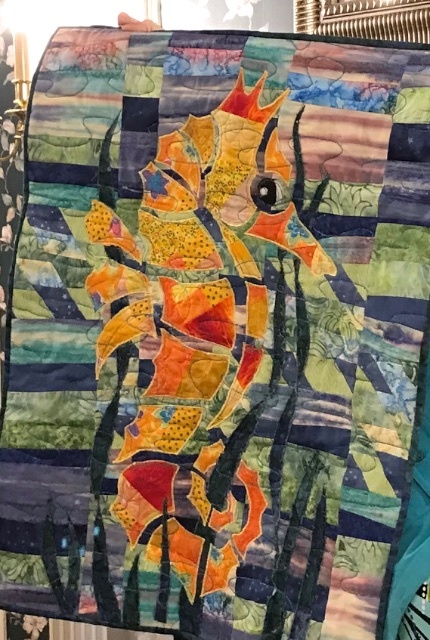 Barbara designed her own whimsical seahorse hanging, using scraps to make the water colored background and brights for the seahorse. It’s adorable! 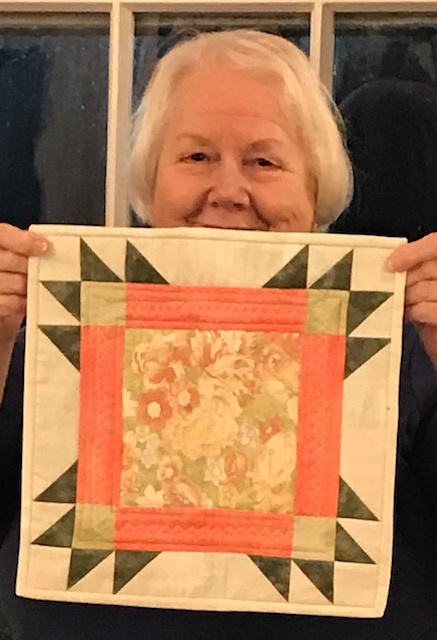 At the day meeting on Feb. 21, Luann will teach the “Square-in-a-Square” block, the technique used in the quilt she shared.